Finland’s most experienced coworking provider and international giant We+ combine forces. Crazy Town will start operating the We+ Kaapeli coworking location in Helsinki as a turnkey service. Together the partners offer a global footprint of coworking locations in Finland and China. 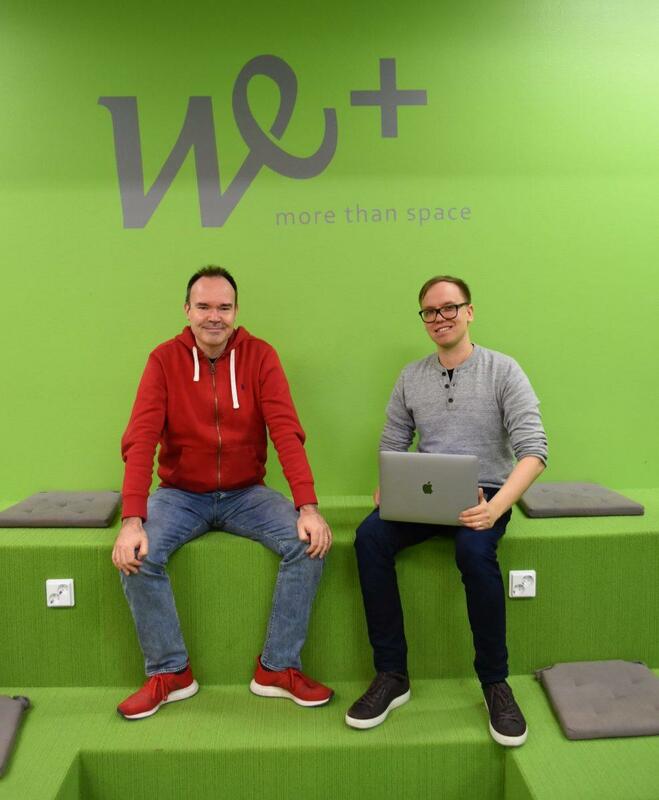 Entrepreneurs Peter Vesterbacka and Kustaa Valtonen, who originally brought We+ to Finland, see that the cooperation brings opportunities for both Finnish companies and rest of We+ network. The duo wants to help Finnish companies find international growth; attract talent and business from abroad to Finland and build connections between Finland and China. – Crazy Town is a good community and experienced partner for doing this, says Vesterbacka. We+ Kaapeli is the first operator deal for Crazy Town. The company intends to form similar agreements with other coworking hubs and real-estate providers. Demand for flexible coworking spaces grows, but only few know how to operate them in practice. Crazy Town has a long experience in development and management of coworking communities. – Community-driven spaces are not about rental business. The most important thing is to help companies and teams to cooperate, share resources and learn from one another. “Popcorns and after works” offered by various coworking providers are often style over substance and have no impact on the business, says Mikko Markkanen, CEO of Crazy Town Oy. Crazy Town’s focus on community-building and peer-learning between its members attracted the interest of Peter Vesterbacka and Kustaa Valtonen.They became angel investors in Crazy Town via their Random Ventures VC and enabled the We+ Kaapeli operating deal. With Peter’s and Kustaa’s help, Crazy Town and We+ will initiate a “China Caravan” program to connect companies, universities and talent communities in Finland to bring them to the Chinese market. – Caravans go both ways. We+ and Crazy Town offer a ready soft-landing environment for international teams to enter European market, says Markkanen. Vesterbacka’s and Valtonen’s angel investment serves as a launchpad for the next Crazy Town funding round. The company seeks to attract investors interested in future of work, work spaces and international business. – We+ Kaapeli welcomes startups and professionals looking for a home base in Helsinki. In particular we encourage businesses seeking international growth to join as members. Our combined We+ / Crazy Town member community has several in-house investors and growth professionals in addition to Vesterbacka and Valtonen. Few environments offer have as good networking opportunities, reminds Markkanen. Crazy Town is a Finnish start again with over 200 growth-oriented companies in its coworking communities in Jyväskylä, Tampere, Pori and Hämeenlinna. More and more Finns work as freelancers, solopreneurs, in micro-sized companies or startups. Work takes place in platforms and networks without traditional employee-employer relationships. Life long learning is an essential skill. Crazy Town provides a platform for all this. We+ is a leading Chinese coworking provider. We+ Kaapeli located at Helsinki Cable Factory is the first location in Europe. In China, We+ has over 60 coworking sites in 16 cities, including Shanghai, Beijing, Xian, Hangzhou, Shenzhen and Guangzhou.